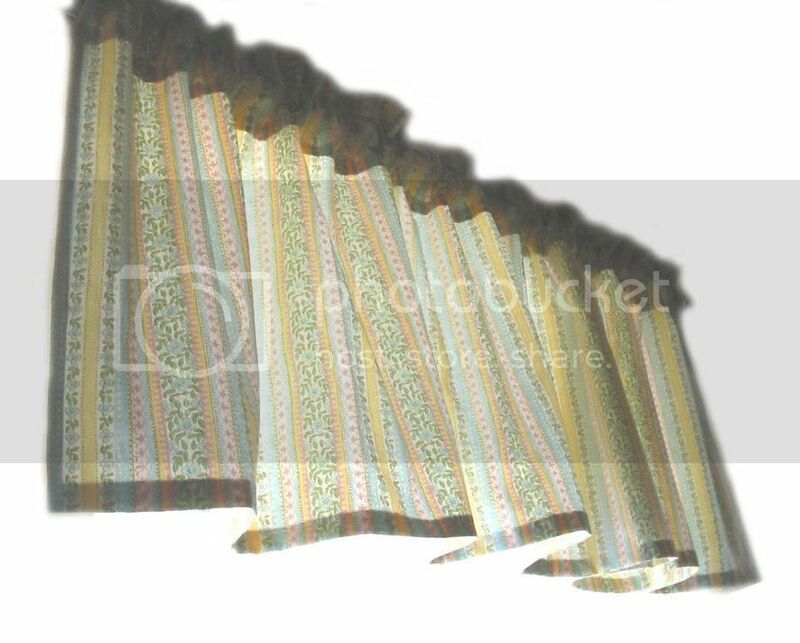 I wanted this nursery window valance with a lot of gathers and a 15 1/2 inch drop. The fabric is beautiful with pastel colors. It picks up very well the green and yellow used on the crib set. Contact us to order your custom window valence.